Day 2. SAN SEBASTIAN - BILBAO - SANTILLANA - SANTANDER (Monday) Breakfast. Departure to Bilbao. Short panoramic tour to admire the Guggenheim Museum building. Continuation to Santillana del Mar, city considered as a National Monument. Short stop and continue to Santander. Dinner and accommodations. Day 3. SANTANDER - COVADONGA - OVIEDO (Tuesday) Breakfast. Departure through Picos de Europa mountains through splendid landscapes. Arrival to Covadonga with free time to visit the Shrine. Continuation to Oviedo, capital city of the Principality of Asturias and the administrative and commercial centre of the region. Arrival to the hotel, dinner and accommodations. Day 4. OVIEDO - GIJON - LUGO (Wednesday) Breakfast. Departure to Gijon the second capital of The region of Asturias. 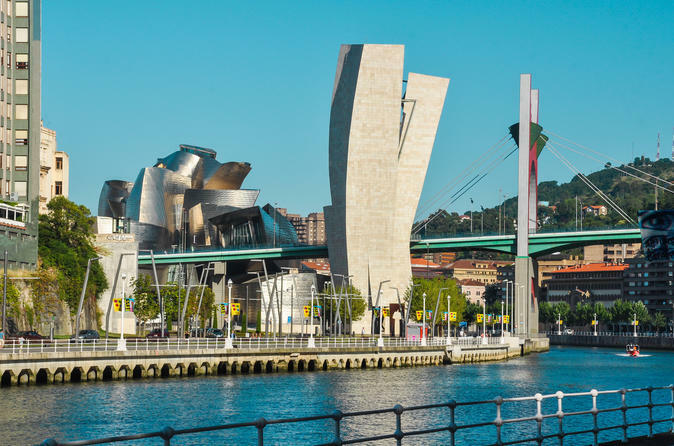 Short panoramic tour and continuation through the areas of Luarca, Ribadeo and Lugo in the Region of Galicia. Dinner and accommodations. Day 5. LUGO - SALAMANCA - MADRID (Thursday) Breakfast. Departure to Salamanca. Short stop to know its famous Plaza Mayor and old quarters. Continuation to Madrid. End of our services.